Two teams whose members are quite accustomed to playing in Fed Cup finals will play in one later this year. 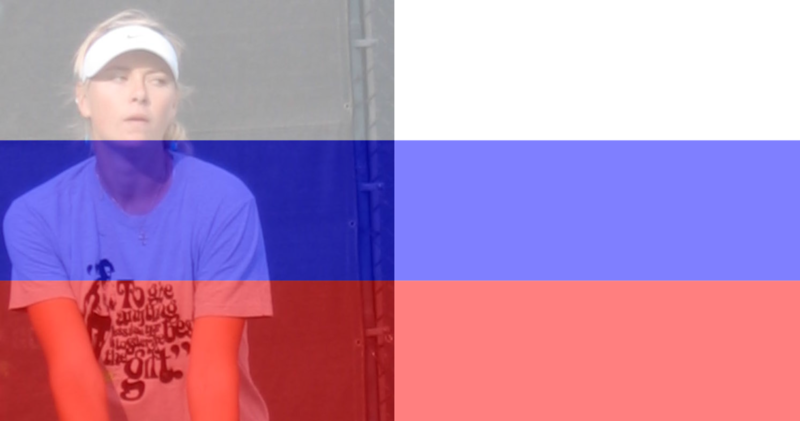 Russia and the Czech Republic advanced today, defeating Germany and France, respectively. The Russian victory was made easier by the absence of both Angelique Kerber and Andrea Petkovic on the first day of play. I don't know why Kerber didn't play, but I know that Petkovic cited mental and physical exhaustion. The Russian team defeated Germans Julia Goerges and Sabine Lisicki on day 1, and on day 2, Kerber and Petkovic turned it around with defeats of Anastasia Pavlyuchenkova and Svetlana Kuznetsova. It came down to doubles, and the team of Pavlyuchenkova and Elena Vesnina were too good for Petkovic and Lisicki. Vesnina, in fact, was superb, and was given more than able support by her partner. With the Czech-France opposition, there was never going to be much hope for France on an indoor court in Ostrava--if Petra Kvitova showed up rested and ready. She did. Kvitova beat both Kiki Mladenovic and Caroline Garcia in straight sets. On day 1, Garcia was defeated by Lucie Safarova after holding five match points, one of many brutal moments in the weekend's activities. In the World Group playoffs, Italy defeated the USA 3-2. Serena Williams won both of her singles rubbers, and Lauren Davis and Christina McHale were beaten by Sara Errani and Flavia Pennetta, respectively. In her first singles rubber, Errani took a set from Williams. Then came the doubles rubber, and Italy, represented by Errani and Pennetta, all but ran over the USA, 6-0, 6-3. Williams' partner was Alison Riske, and they had obviously not played doubles together before (actually, they had never met before), and were no match for the Italians. One of the surprises of the weekend was The Netherlands' victory over Australia, also in the World Group playoffs. Sam Stosur had to withdraw because of injury, but the able Casey Dellacqua was put in to join teammate Jarmila Gajdosova. No matter. Kiki Bertens beat both of them, and Arantxa Rus defeated Gajdosova. Also in the World Group playoffs, Poland and Switzerland endured more drama than anyone. Martina Hingis, who hadn't played a competitive match since 2007, was put in to play two singles rubbers. On day 1, she was beaten 6-4, 6-0 by Aga Radwanska, which maybe should have provided some type of hint to the team captain about what to do on day 2. Only it didn't. Hingis next played Ula Radwanska, and led by a set and 5-2 when everythig fell apart for her. Hingis injured her leg and almost couldn't move at all. She stayed in the rubber and also received medical treatment, but Radwanska won five straight games, then won the third set 6-1. But all wasn't lost for Switzerland since Timea Bacsinszky won both of her singles rubbers. Now, in a world that made sense, Hingis would be teamed with just about anyone for the doubles rubber. But Hingis was unable to play, and Bacsinszky's doubles partner was Victorija Golubic, ranked number 178 in the world in doubles. Their opponents were A-Rad and doubles specialist Alicja Rosolska. No worries--almost. At 5-3 in the third set, Switzerland--specifically, Bacsinszky--served for the tie, and Poland broke. Switzerland broke back, and at 7-all and was able to successfully serve for the rubber and the tie. It was one of the most exciting rubbers I saw all weekend (disclaimer--I wasn't able to rise very, very early to see many of them). The Queen of Mexico may be coming to your territory soon--watch out! And all credit to Golubic, by the way. Fnally, in the World Group playoffs, there was Canada vs. Romania, a tie that was controversial before it even began. Both Genie Bouchard and Simona Halep declined to participate, then--at the last minute--Bouchard changed her mind, probably to her eternal regret. Young Francoise Abanda was certainly not expected to defeat Irina-Camelia Begu, but she did, giving Canada the first chance for victory. Then along came Bouchard, who lost to Alexandra Dulgheru. This is, of course, the point at which the story takes a twist. Bouchard and Dulgheru had met before--at the pre-Fed Cup press conference--and Bouchard had declined to shake Dulgheru's hand (she did the same thing to Kristina Kucova in February). Dulgheru laughed it off, then went about the business of tearing into Bouchard on the court, beating the Canadian in straight sets, then delivering some "how do you like me now?" handshake mockery with her team. So if you're a tennis fan, you already know that Bouchard is slumping like Sugarpova sales at a dentists' convention, but that surely she wouldn't--oh yes she would. Bouchard, in her second singles rubber, lost to Andreea Mitu, a last-minute substitute for Begu on the Romanian team. And while Bouchard is obviously way off of her game, it should be noted--as is often the case in these types of situations--that Mitu was way on hers. She was just superb, and won the rubber in three sets. That put Albanda in a spotlight she probably never expected in her wildest imagination. She and Dulgheru split sets, then Dulghuru kind of went into "official Romanian mode" and took the final set 6-2, putting Romania into the World Group. It was a strong performance, but Abanda should also be commended for coming close to carrying things to a fifth rubber. In World Group II playoffs, Serbia defeated Paraguay, Slovakia defeated Sweden, Belarus defeated Japan, and Spain defeated Argentina. Paula Ormaechea's second rubber, against Lara Arruabarrena, was a heartbreaker for her. She fought furiously to even the third set, her chances looked good, but Arruabarrena won it 9-7. The Fed Cup stories that will stay with us a while revolve around the extended nature of Genie Bouchard's dramatic slump, the "what were they thinking?" decisions of some of the team captains ( Barbara Rittner, Heinz Guenthardt and--of course--Mary Joe Fernandez) and the enduring strength of both Russia and the Czech Republic. And we all learned more about Andreea Mitu, who--until this weekend--had never beaten a top 50 player (except for Varvara Lepchenko in Charleston, but that was due to Lepchenko's retirement). Great wrap us Diane. Fed cup was a lot of fun. I have to wonder about the decisions made by the German coach to start with Georges and Lisiki. They might have pulled it off otherwise. Thanks, Shalini! Petko I understand, but still puzzed over Kerber.